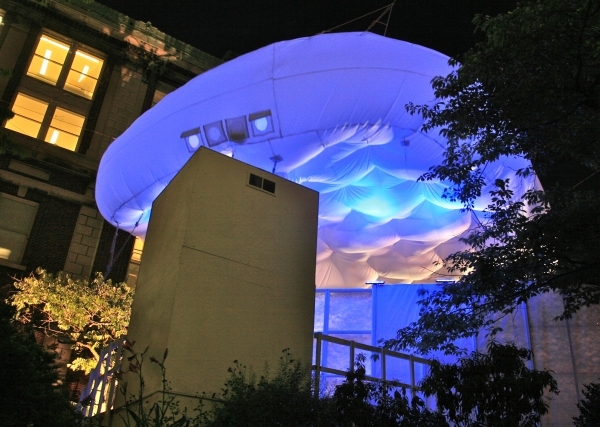 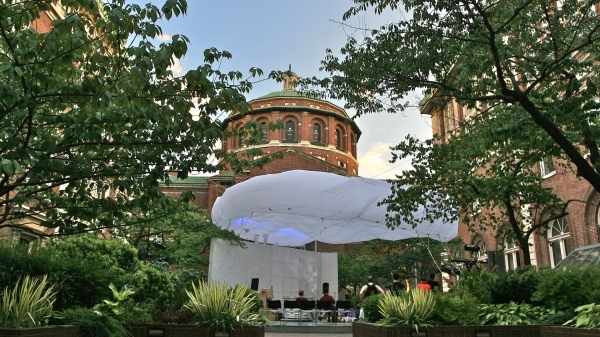 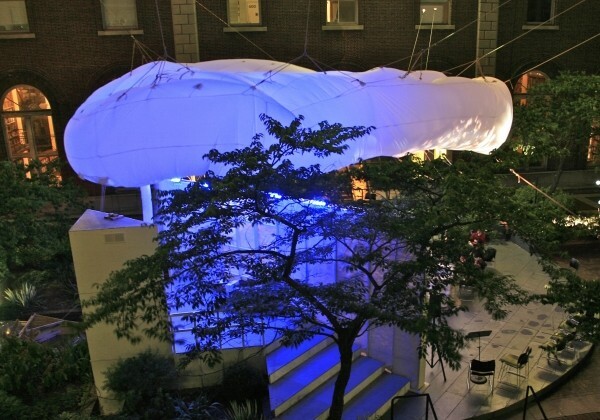 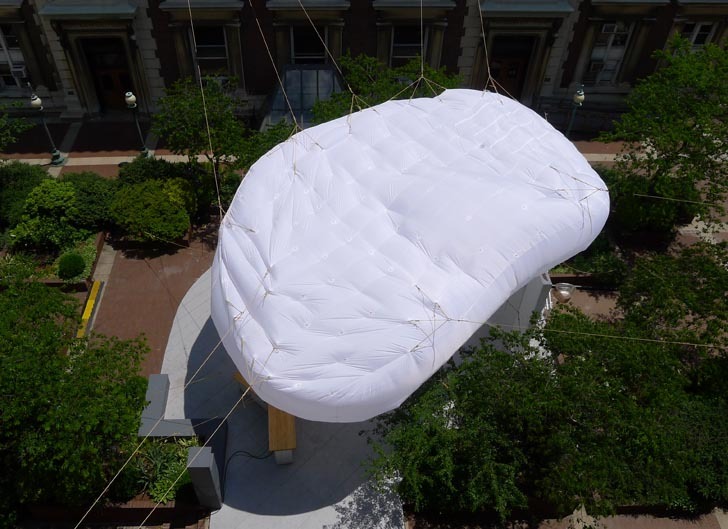 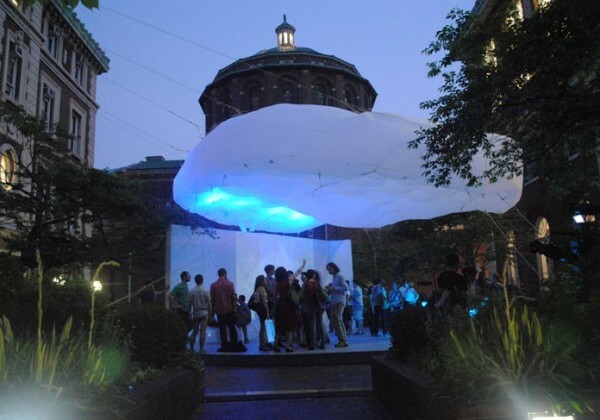 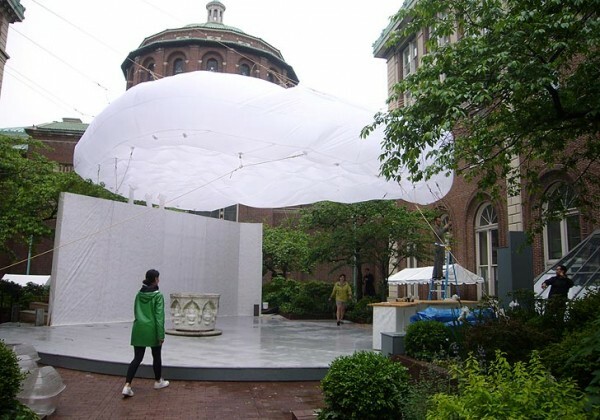 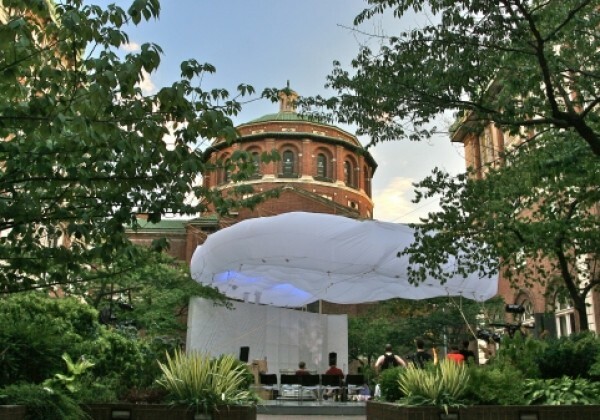 BOB, an inflatable cloud above a public bathroom and forum, is the result of a pedagogical experiment involving graduate art and architecture students at Columbia University. 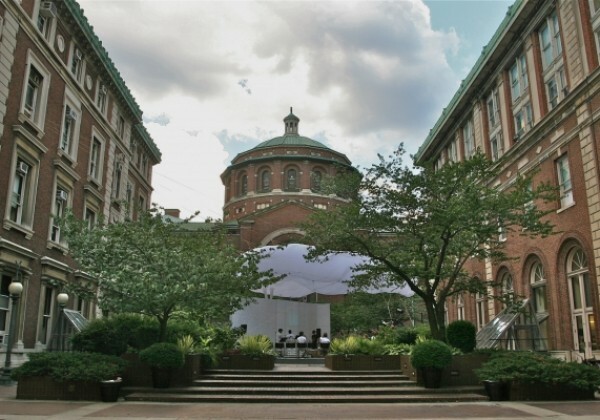 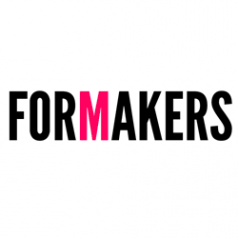 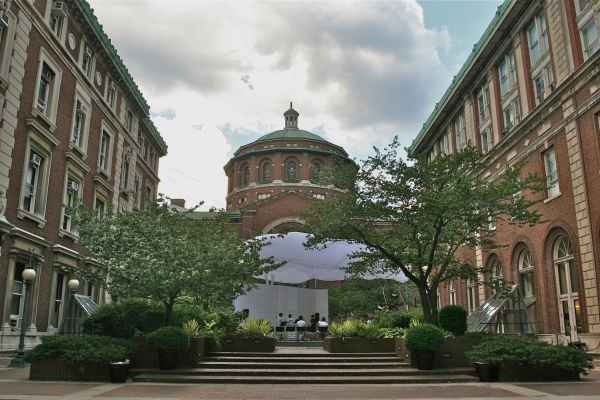 Supported by the Bridge Grant for the Art and Architecture, Professors Galia Solomonoff (GSAPP), Nathan Carter (GSAPP), and Liam Gillick (SoA) advised and provoked a joint team from the Graduate School of Architecture, Planning, and Preservation and the School of the Arts. 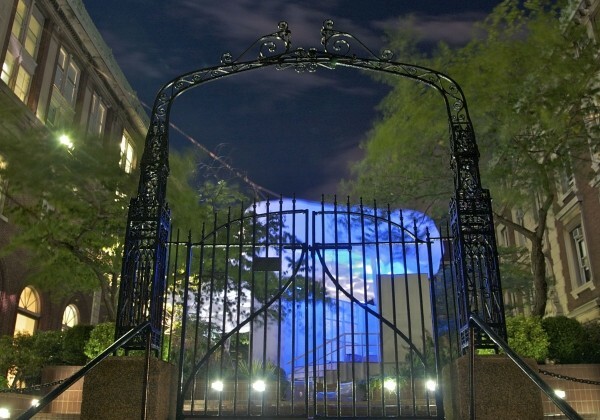 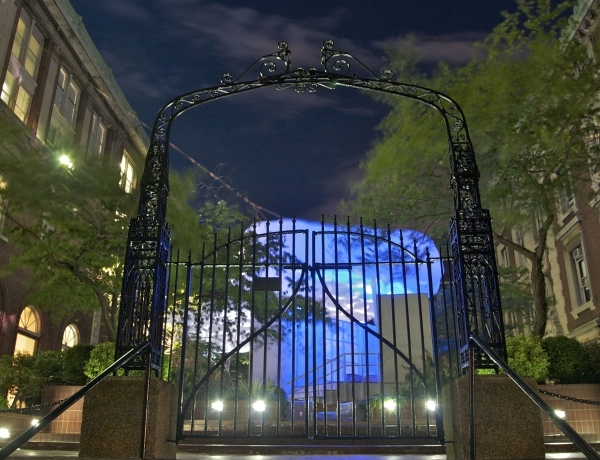 The pavilion will be open from June 1st to July 25th, and features a public restroom installation, a projection screen, twelve student-designed seats and a bar beneath an inflatable canopy. 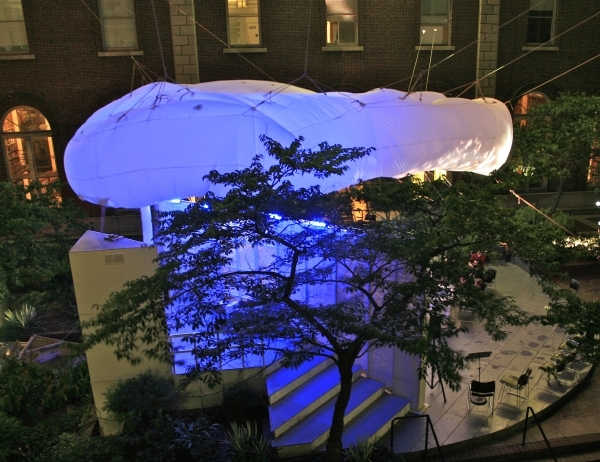 The public restroom, which includes a composting toilet, is enclosed by a screen for the projection of ideas. 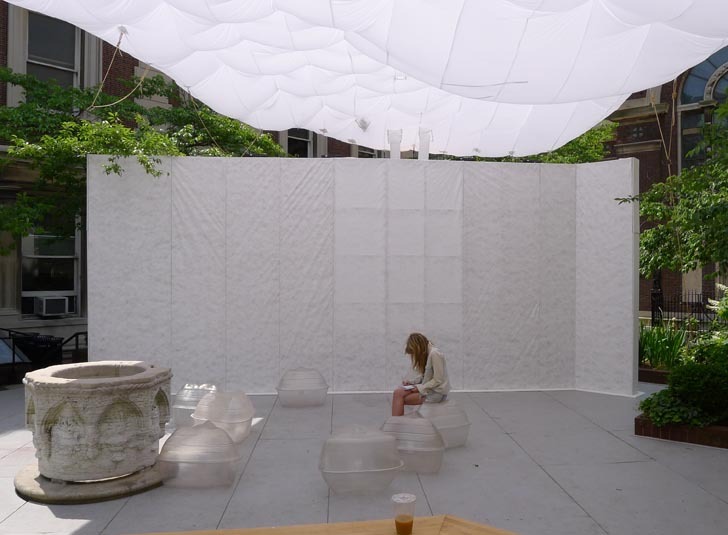 Reconsidering the idea of graffiti and public anonymity, images and shadows are cast upon a translucent scrim. 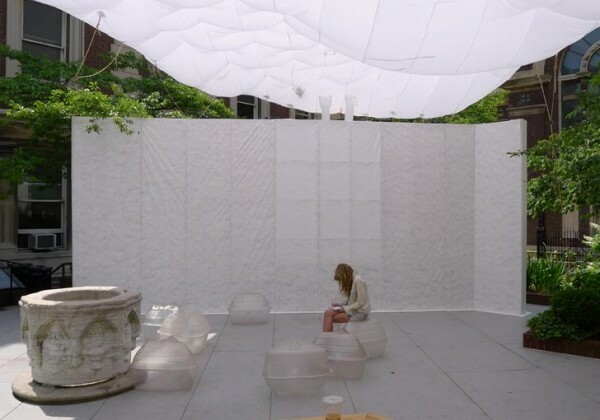 Privacy is preserved, but information is not restricted by solid walls. 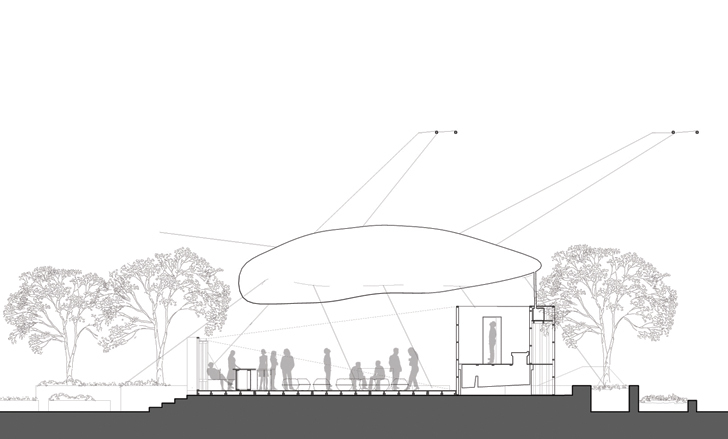 The pneumatic roof, conceptually re-pressurized via the toilet's exhaust, suggests the bathroom's sphere of influence. 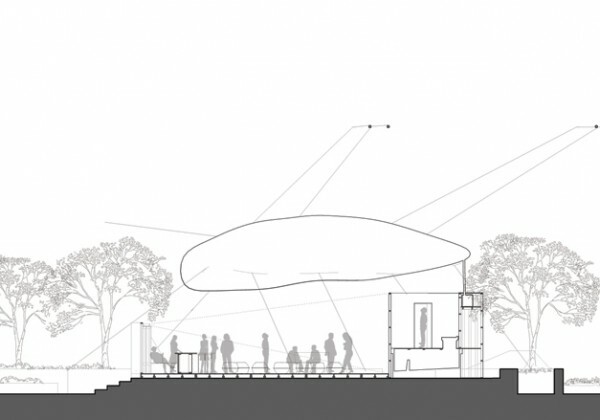 The inclusion of a composting restroom facility is integral to the concept of the installation, and emerged from the studio mantra that "a society that does not provide public restrooms does not deserve public art.
" 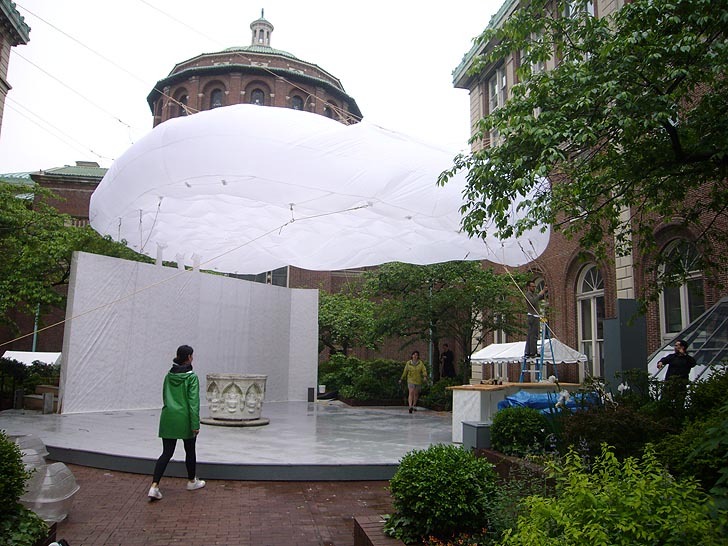 The bathroom intentionally forces a correlation between public space and a societal responsibility to provide and ensure basic necessities.